Spread out in this spacious outdoor swivel chair and enjoy the great outdoors with a 360-degree view. Simple modern design shines in our new Lunar chair, and the durable Sunbrella® fabric means it will look good through sun and sleet. The fast-drying supportive foam cushion is comfortably sized for two people. 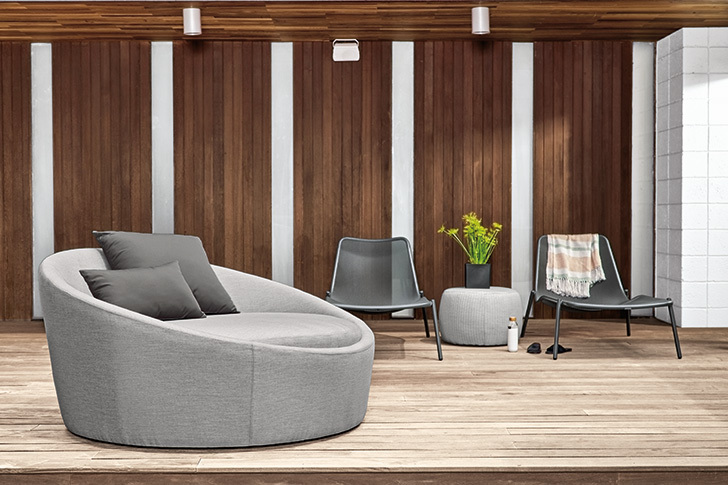 Sewn and filled in Atlanta, Georgia, our Yamba collection is made from top-quality materials designed for outdoor performance—and now it’s offered in a massive bean bag form! The water-resistant Sunbrella® cover is removable for easy cleaning and has a waterproof bottom, making these outdoor bean bags suitable for use on grass or sand. True to its name, our Laze chair invites you to spend a lazy afternoon outside. 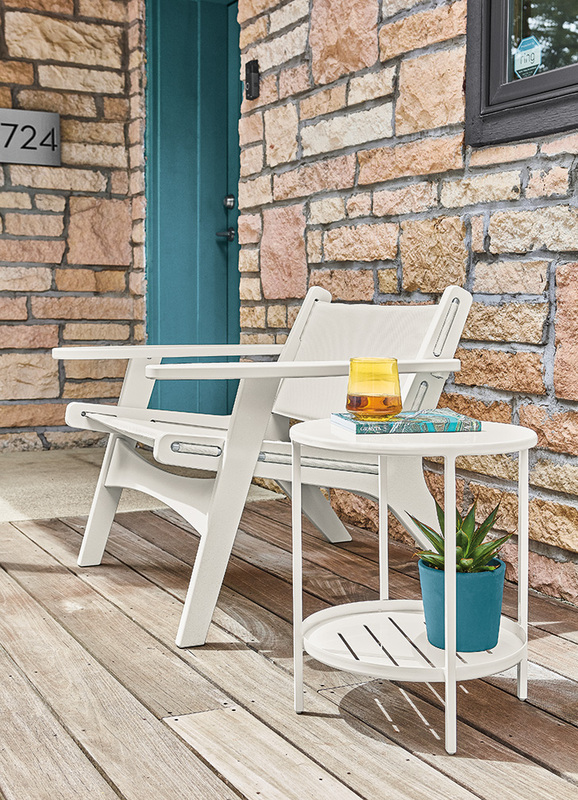 Uniting mid-century design and extreme durability, Laze is the perfect chair for your deck, patio or fireside. The 100% recycled high-density plastic and durable Sunbrella® fabric will look great year after year. Crest is one of our all-time favorite outdoor chairs. 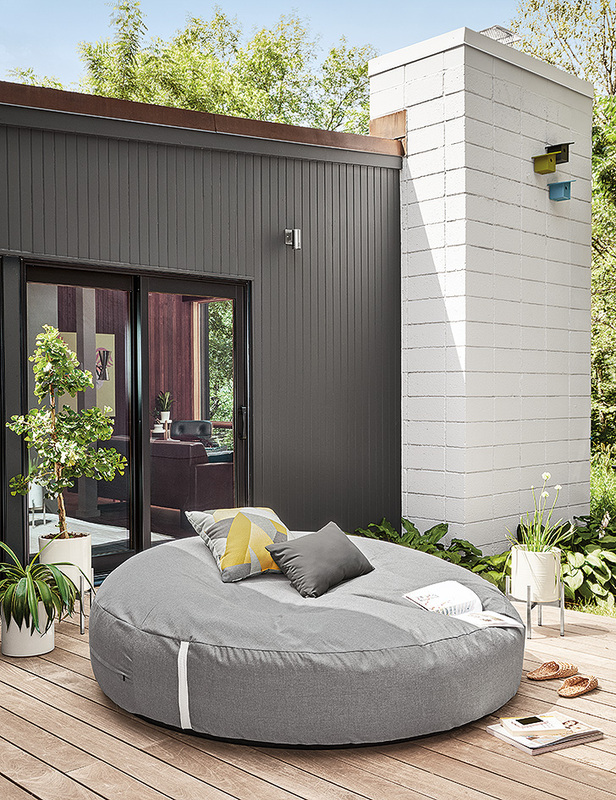 It’s petite enough to fit on small balconies, but big on comfort—the perfect spot to lounge. 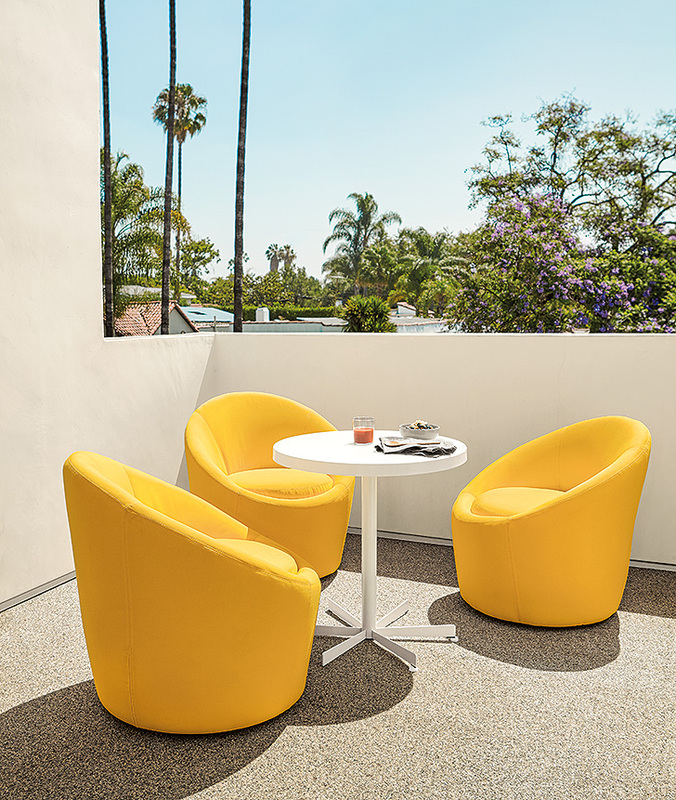 A hidden swivel base lets you enjoy a 360-degree view, while durable Sunbrella® fabric withstands the elements in style. The attached seat cushion stays put in the wind. Photos by Room & Board.